There are no comments for Opechancanough. Click here to post the first comment. 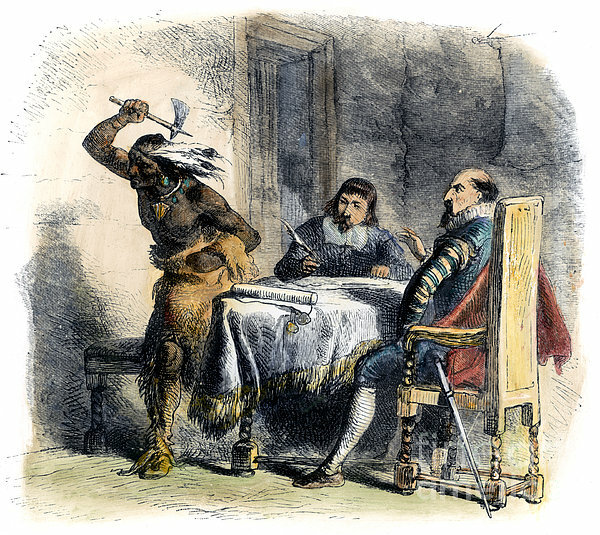 OPECHANCANOUGH (c1546-c1646). Native American chief. 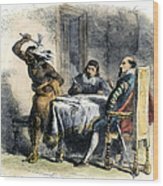 Opechancanough making a violent gesture during negotiations with Sir Francis Wyatt, colonial Governor of Virginia, c1620. 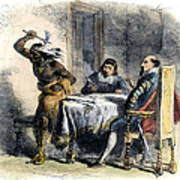 Color engraving, 1877.